Our granddaughters are 9 and 7 and love American Girl Dolls. 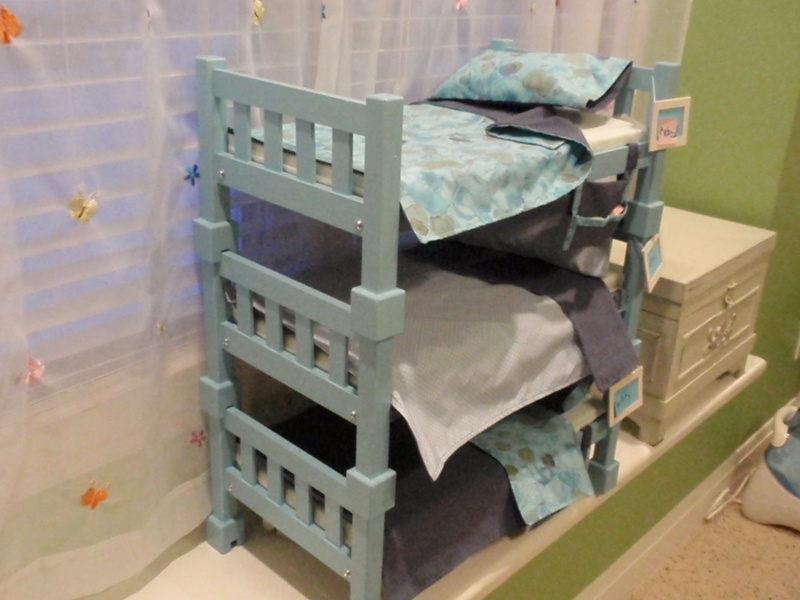 So for Christmas Grandpa decided to make them the triple bunk beds they saw in the catalogue. 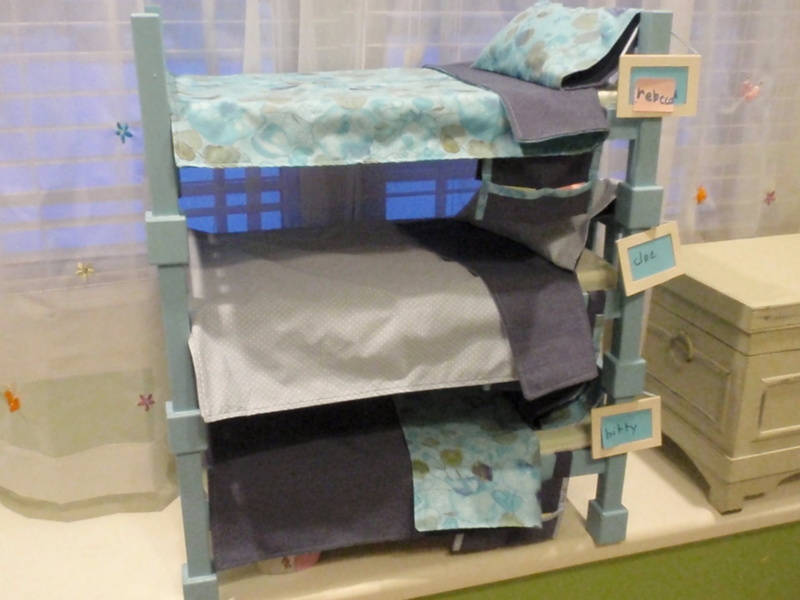 Of course grandma had to make the mattresses, sheets, pillows, bedding, etc. 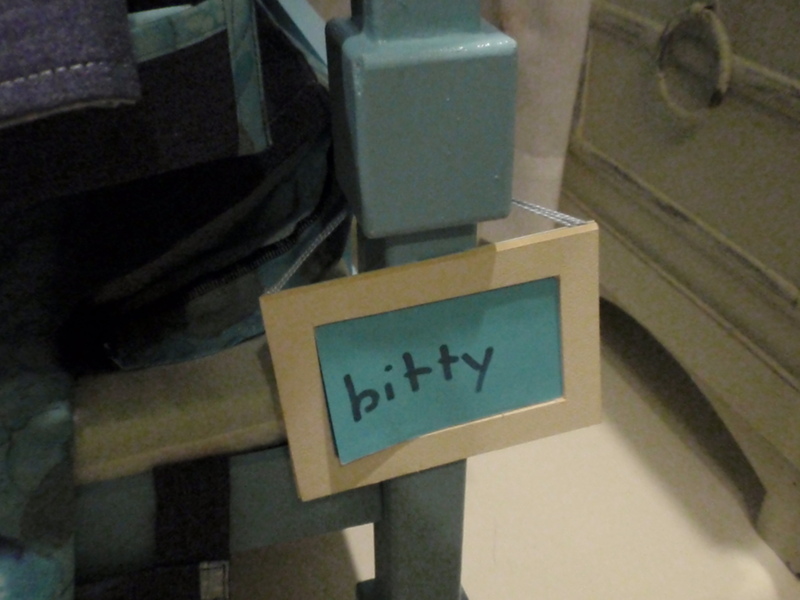 We also made little name tags for each bed that have extra slates to rewrite. 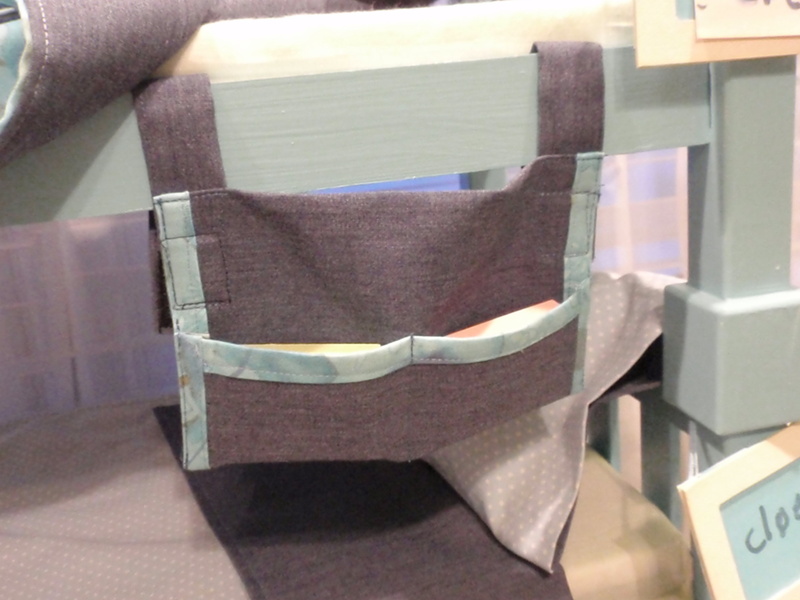 There are even little do-dad holders to hang off the side of each bed. I think DH really did a marvelous job with his woodworking and the girls were absolutely delighted.